As a salesperson, you can find a ton of articles out there touting the best strategies for getting the most out of your sales, closing the deal, and making more money. But do you know what not to do and say to consumers you're looking to turn into customers? 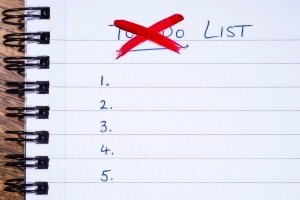 Here are five tips you shouldn’t ignore. Every person that comes through your door is a potential sale, and they've come to you for a reason. In order to close a sale, you need to meet their needs and show them the value of your dealership. This lets potential buyers know they made the right choice. Using too much jargon – If you're the type of salesperson who uses a lot of industry terms just to "put someone together," it's more likely to backfire today. 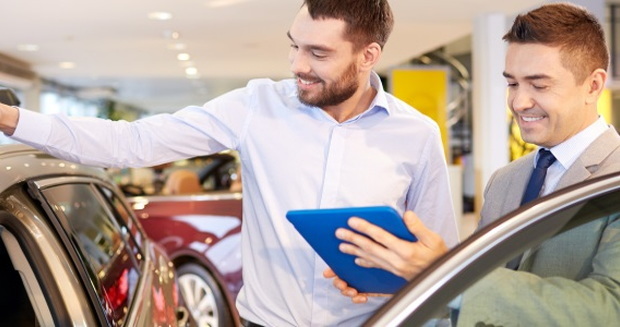 With customers able to thoroughly research a vehicle before they ever walk through your door, honesty and authenticity are a big part of increasing your bottom line. Knowing specifics the consumer can't find online about the models you're selling and leveling with your customers is key. Talking too much – It can be much easier to close a sale when you know what the customer's goals are. Rather than filling every gap in the conversation with another fact, figure, or perk, ask the customer what they need and want out of a vehicle. Getting a consumer to open up and really listening to what they're saying could help you sell them on a vehicle they truly need, rather than one they just think they want. Forcing a sale – Pressure tactics aren't as effective as they used to be. If your go-to close is to tell a customer this deal isn't going to last, they're liable to let you know that's okay. Especially when you're working with millennials, they won't budge until they're ready to buy. Today's shoppers have done their homework and they're not afraid to walk away from a deal they're not comfortable with. Buyers work at their own pace in today's market, and it's not always a speedy one. Thinking all customers are the same – No two car deals are ever identical, and treating buyers like they're all the same is a good way to get them to walk out the door without a sale. Find out why your customers need this car, and why they chose to come to you for it. It's commonly heard "buyers are liars," but if you don't want them to lie to you, then extend them the same courtesy. A truthful salesperson gains trust, and truth, more quickly. Thinking car buying is "just business" – A car sale may be just business to you, but for the buyer a decision to get a vehicle can be, and often is, an emotional one. Your customers need to feel good about buying, not just from your dealership, but from you personally. Customers also need to believe in the value of your service, especially if you want to turn them into loyal repeat customers. It's hard to put any sales tactics into play if you don't have people coming into your showroom ready to buy. For over 20 years, Auto Credit Express has been helping dealerships just like yours by providing quality leads and CRM tools you can trust. As a top-producing lead generator we can help you by providing quality new, used, and special finance auto leads that are serious about buying. But that's not all. Our BDC call center can help you improve your bottom line by increasing first contacts and appointments, and by preparing the consumers to show up ready to buy so all you have to focus on are sales. To find out how we can help you and your dealership get the leads and tools you need, call us at 888-535-2277 today, or fill out our online contact form and we'll get in touch with you.